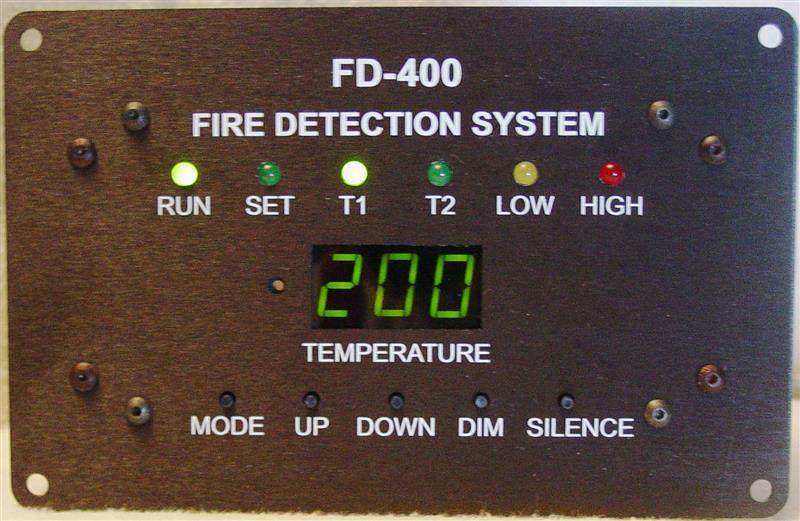 The FD-400 Fire Detection Monitor is a micro controller based system. It was originally designed to give the motorhome owner a reliable early warning of a probable fire in either the engine or generator compartment. In addition to the motorhome market, the product has been used in several other applications such as stationary generators, and specialized vehicles. Like the FD-400 Fire Detection Monitor, the FD-400-5 is a micro controller based system. It is based on the same technology but has 5 sensors for additional monitoring. More information on this system will be posted in the near future.